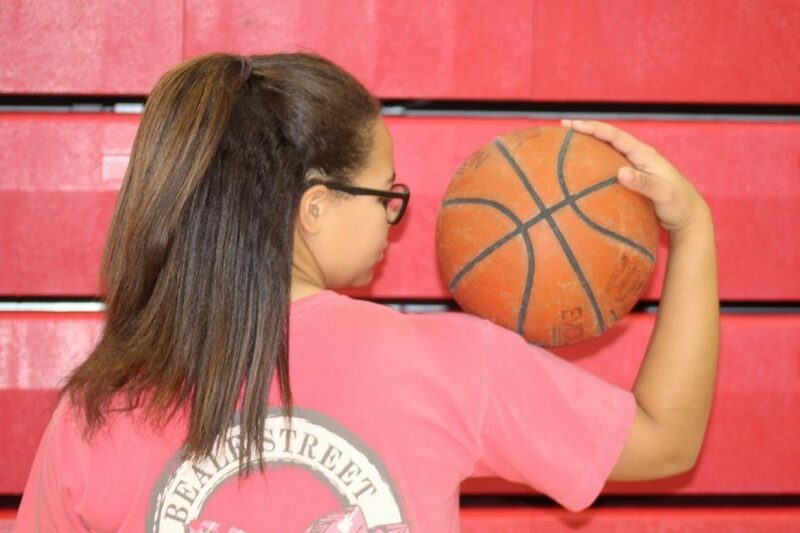 Varsity basketball player, sophomore Kayleigh “KB” Griffith, developed a love for the sport at six years old. “Most of my family on my dad’s side played basketball, and I wanted to be like them,” said Griffith. She began by playing for Pittsylvania County Parks and Recreation in the 8u division and played all the way up into the 14u division. She also played for Hoop Dreams and Virginia Mystics in her late elementary school years. She started playing for girls’ JV basketball in 8th grade, took a year off, and then came back this year for Varsity. In her 8th grade year on JV, she devoted two hours every week day to basketball practice and practiced a lot on her own on the weekends. She used to average 12-13 points per game on JV. Griffith attended Averett basketball camps during the summers to strengthen her already well-developed skill set. “I know I’ve scored at least 20, points in a game before, if not more,” said Griffith. In the past, boys’ JV and Varsity basketball teams would always have practice in the high school gym, and the girls’ teams would practice at the middle school. Griffith suspects the boys got first dibs on the high school gym last year because they had more wins than the girls. This year, the girls’ Varsity basketball team practices from 5:30-7:30 p.m. in the high school gym following the boys’ basketball team’s practice. Griffith’s family had a big impact on her decision to continue basketball from a young age. “The main reason I started basketball was because my older sister played in college, and I really look up to her,” said Griffith. Griffith’s older sister, Jalexis Teemer, got multiple offers from D1 colleges to come play basketball for them, but she ultimately chose Agnes Scott College in Decatur, Georgia. Unlike her older sister, Griffith does not dream of playing for a college, but if she got a substantial offer, she would do it.